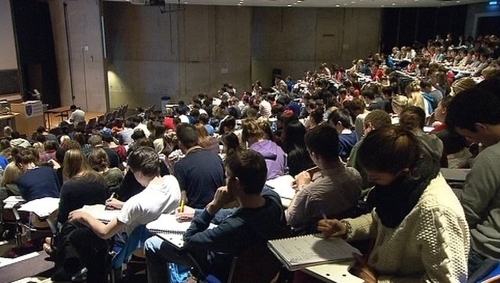 Unions representing students and teaching staff have joined forces with the representative bodies of universities and institutes of technology to urge the Government to respond to what the group says is a growing crisis in higher education funding. In the first ever such move, students, staff and the higher education institutions have come together to warn the Government that continued delay in addressing the deficit in third level funding is no longer acceptable. In a joint statement, the group warns that, if urgent action is not taken, there is a real risk of an irreversible slide in the quality of Ireland's Third Level system. The group adds that failure to act could lead to a real risk that today's seven and eight-year old primary school students will not have sufficient college places available to them in 2030, when the demographic bulge peaks with an additional 40,000 students seeking to access third level. Jim Miley, Director General of Irish Universities Association said: "The government has repeatedly stated that it wants to have 'the best education system in Europe'. That cannot be delivered without a significant increase in investment in higher education. If the investment is not made, the future talent pipeline for the workforce will be jeopardised and the country's competitive edge will be at serious risk." Dr Joseph Ryan, Chief Executive of Technological Higher Education Association, said: "The National Strategy for Higher Education to 2030 and the recent report of the expert group chaired by Peter Cassells provide both a policy framework and an unequivocal call to invest in national ambition. "Advance has been realised on some fronts and that is acknowledged but the key outstanding issue on which we require immediate action as part of Budget 2019 remains the requirement for greater government investment, which is essential to maintain the operation and reputation of our higher education system."